This is hardly a recipe. It’s more like a process, if you can even call it that. I promise, I’ll give you something more exciting next time. But then again, not having to remember to pop the potatoes in the oven (or get home in time to do so) can be pretty exciting at the end of a busy day. 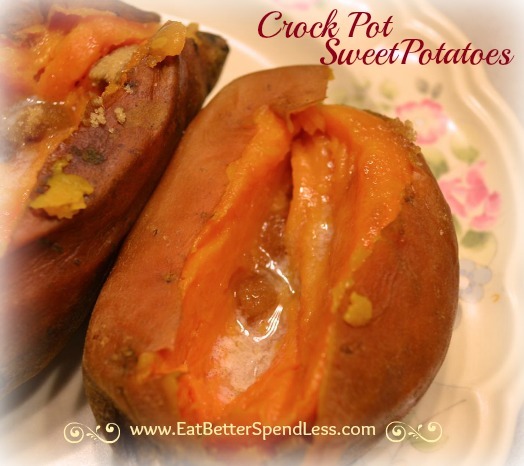 Oh yeah, Crock Pot Sweet Potatoes! Just when you thought sweet potatoes couldn’t get any easier. 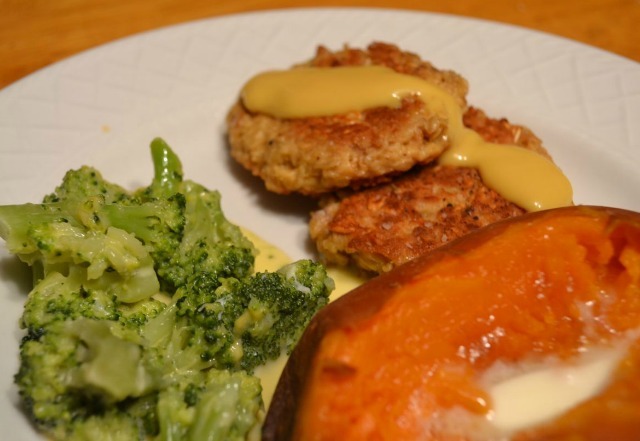 I made these last week along with salmon patties and broccoli & cheese. They were delicious. The most tender and juicy I’d ever had. And because I put them in the crock pot in the morning (when I felt like cooking) I didn’t have to worry about stopping what I was doing an hour before dinner (which was certainly not cooking). It’s a simple thing, but pretty fabulous indeed. Rinse the potatoes and poke them a few times each with a knife. I don’t know why, I guess so they don’t explode. Wrap them each in aluminum foil. Put few tablespoons of water into your crock pot. Add the potatoes. I’m sure multiple layers would work just fine if you have more than what will fit in one layer. Cook on low all day. (Or high for a few hours). Be careful unwrapping, they’ll be very hot! Here they are with the rest of the meal. You can see that post here. So, yeah. I Just spent way (way) more time writing this post than you’ll spend cooking these fabulous Crock Pot Sweet potatoes! Those look delicious. I cooked baked potatoes in the crock pot last week for the first time. They were so easy for our surprise Valentine’s middle of the week steak and potatoes meal for my hubby. I haven’t done regular potatoes yet but I bet they’re good! 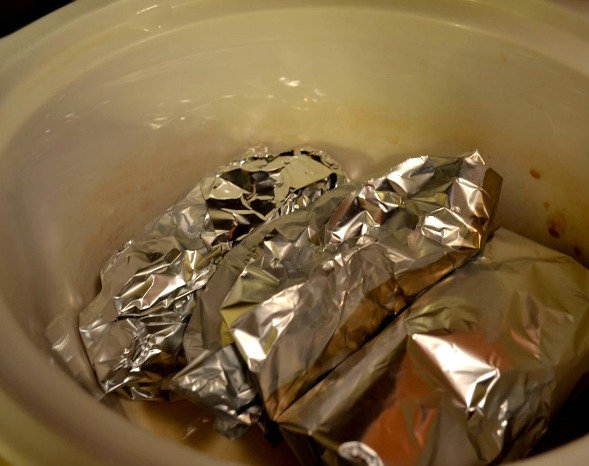 I have never put foil inside my crockpot, but I keep hearing and seeing recipes like this saying I should! Lol! Okay, this is awesome. I have to try it. I’m finally convinced that it’s okay. Haha!